Blowout Sale! 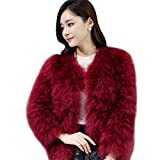 Up to 62% off on Fur & Faux Fur at Femi Store. 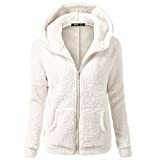 Top brands include ZAN.STYLE, ZESICA, House of Leather, BerryGo, ZLSLZ, Anna-Kaci, Enlishop, GESELLIE, ENJOYFUR, S.ROMZA, FUNOC, Assivia, PRETTYGARDEN, CHOiES record your inspired fashion, SweatyRocks, WILLTOO, Qingfan, Raylans, Asvivid, & Madison Avenue Mall. Hurry! Limited time offers. Offers valid only while supplies last.